Image does not reflect actual size. See dimensions below. Shown in Nepal Teak. Flip-Top Computer Tables are an excellent choice for your computer lab no matter who is using it. All desktop users are sure to appreciate the open work space that is supplied by the built-in wire management system. 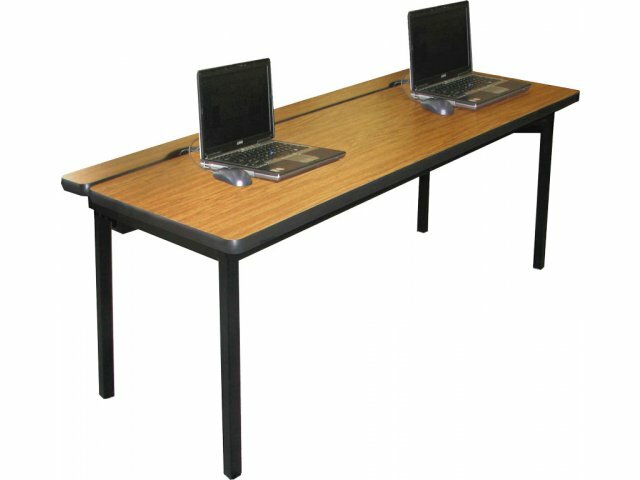 When you are looking for computer lab tables, it is important to choose models that are specially designed with computers in mind. These computer tables are smartly arranged to accommodate computers and minimize clutter. Their tops flip up for easy wire management using the cable tray underneath. These computer tables aren't just convenient; they are built-to last. Their 14-gauge legs support 16-gauge steel frames that are all welded for ultimate durability. These tough frames support scratch- and stain-resistant high-pressure laminate work surfaces. 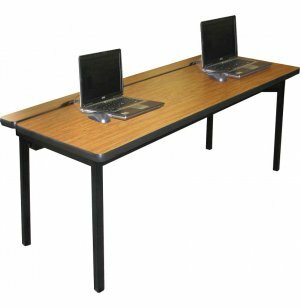 If your computer lab is in need of an update, look no further than AmTab Computer Lab Tables. Capacity may vary depending on workspace required and accessories being used. Uncluttered: Wire management tray keeps cables organized away from the work surface. Convenient: Flip top makes it easy to arrange wires beneath the desk top. 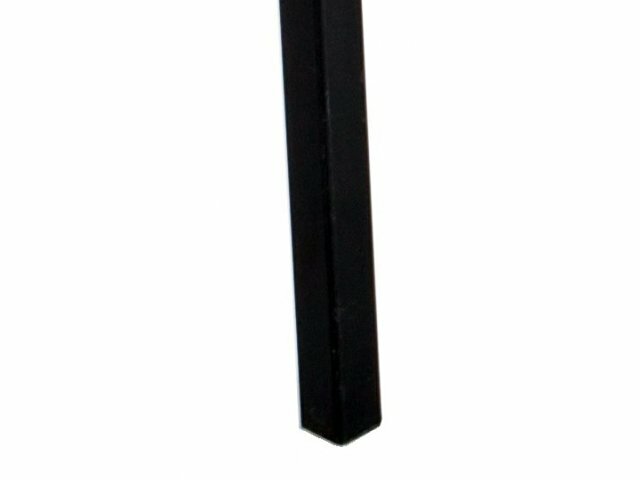 Durable: Fully welded 14-gauge square steel legs and 16-gauge rectangular steel frame. Tough: The 1¼"-thick high pressure plastic laminate work surfaces resist scratches and stains and are easy to clean.